With support from Goethe-Institut Nigeria and the Nigerian Film Corporation, Lagos Film Society is organising a 2-day programme of screenings and discussions on Friday, March 25 and Saturday, March 26, 2016. The LFS programme is a satellite event of the IREP International Documentary Film Festival, and will take place daily at the Nigerian Film Corporation, beside Voice of Nigeria, Obalende Rd., Ikoyi, Lagos. Entry is free and all films are in English or with English subtitles. Venue: Nigerian Film Corporation (beside Voice Of Nigeria), Ikoyi rd., Obalende. 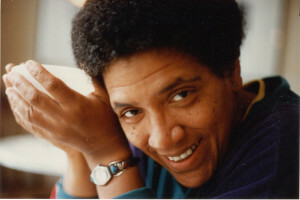 Audre Lorde, the highly influential, award-winning African-American lesbian intellectual and professor came to live in West-Berlin in the 1980s. During her stay as a visiting professor, she was the mentor and catalyst who ignited the Afro-German movement. Lorde also had a decisive impact on white women, challenging them to acknowledge the significance of their white privilege and learning to deal with difference in constructive ways. African cinema is currently undergoing a remarkable revival and this renaissance is taking forms that node well for the continent’s fledgling cultural industries. Across Africa, we’re beginning to see the emergence of a range of filmmakers wanting to make a renewed African contribution to World Cinema. But, for the most part, these films hardly get to be seen beyond borders across the continent. How do we get African films to be seen across the African continent? Featured panelists are Steven Markowitz (Big World Cinema), Chike Maduegbuna (Afrinolly), Chuka Ejorh (FILMSundays), Afie Braimoh (AFRIFF/ScreenCiti), Moses Babatope (FilmOne Distribution) and Ugoma Adegoke (The Life House/Lights, Camera, AFRICA!). A dynamic coming of age story about agency, resilience and the transformative art form that is Voguing, KIKI offers riveting and complex insight into the daily lives of a group of LGBTQ youth-of-color who comprise the “Kiki” scene, a vibrant, safe space for performance created and governed by these activists. Following members of the scene as they prepare for and perform at exuberant Kiki balls in New York City, KIKI highlights the infectious joy of these performances, while also foregrounding the scene’s urgent social function as an alternative family structure. IS THERE A FUTURE FOR [NIGERIAN] FILM CRITICISM? Good movie criticism can take you out of the confusion you’re left with when the lights come back on; it can make you care about movies, make you aware of the possibilities of movies. Good movie criticism can break through the confusion that manifests as PR and confirm to you that somewhere in the world, sitting in the dark, someone else has felt what you felt. Moderated by Derin Ajao, this panel, an encounter between Talent Press critics of the Berlinale Talents and filmmakers/filmgoers confronts the question: Is there a future for [Nigerian] film criticism? Featured panelists include Oris Aigbokhaevbolo (Music In Africa) and Espera Donouvossi (Federation of African Cinema Critics). A keynote address will be delivered by Steve Ayorinde, Hon. Commissioner for Information and Strategy, Lagos State. Statues Also Die traces the devastating impact of French colonialism on African at. As Resnais’ co-director, Marker, stated: “We want to see their suffering, serenity, humor, even though we don’t know anything about them.” Their film shows what happens when are is forced to lose its connection to a culture from which it raises. This film was banned in France for 12 years. BLACK MARKET MASQUERADE (D: Peter Heller, Germany, 2016, 53min). 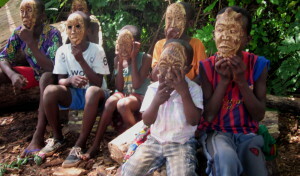 The market for traditional African art is flourishing across the globe. In the past months single objects have been auctioned off for millions. 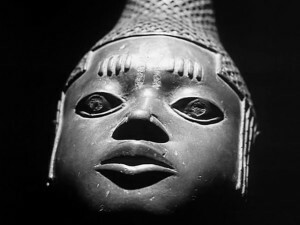 Though ancient African art as an investment is a new development. 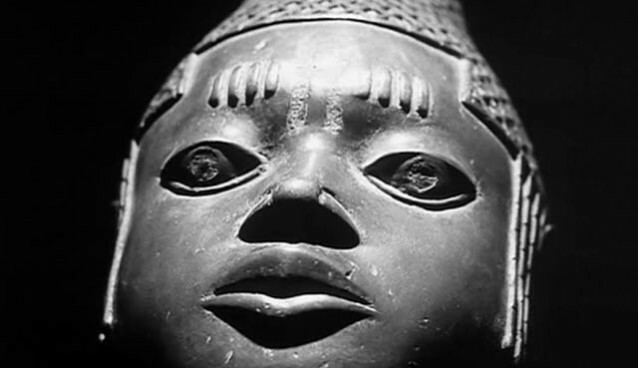 The film follows the tracks from the poorest carvers in West Africa to the posh trade fair for gallery owners in Brussels and to Paris, where the prices for the art market are made. Venue: Nigerian Film Corporation (beside Voice Of Nigeria) Ikoyi rd., Obalende. Memory is a half-dark room where back-lit particles of dust hang, like a veil, over a dump of half-forgotten rusted cans of films; memory is fading images, in black and white and color, on decaying frames, each frame a moment frozen in time. Memory, like trauma, is never really our personal possession, is never solely about us. Memory is always collective. How does a national archive of films contribute to the practice of memory and historical recall? RECLAIMING HISTORY, UNVEILING MEMORY is an invitation to the uncomfortable, but nonetheless exciting journey of reclamation and negotiation through restoration and projection. It is a look back – to the future. In the sense that it seems to place archiving – beyond restoration and digitization – in a curatorial context, in relation to the present and the future. The presentation will be followed by a discussion panel comprising artists Kelani Abass and Uche Uzorka; Kayode Samuel; filmmaker Didi Cheeka; Ivorian artist Ananias Leki Dago, and curator Bisi Silva of the Centre for Contemporary Art Lagos. Lagos Film Society is an organization dedicated to finding, nurturing and celebrating African filmmaking, offering filmmakers and filmlovers a platform to survey a range of works from across and beyond the continent. The idea is to build a film hub where filmmakers, film experts, film critics and filmgoers can interact. The ultimate goal is to found the first arthouse cinema in Nigeria. Hi, I can’t make it! Would it be possible to find some speeches or abstract on memory and film archives? I’m doing my PHD and I am really on that topic!